An IoT device that helps track medication consumption and forwards that data to their doctor. 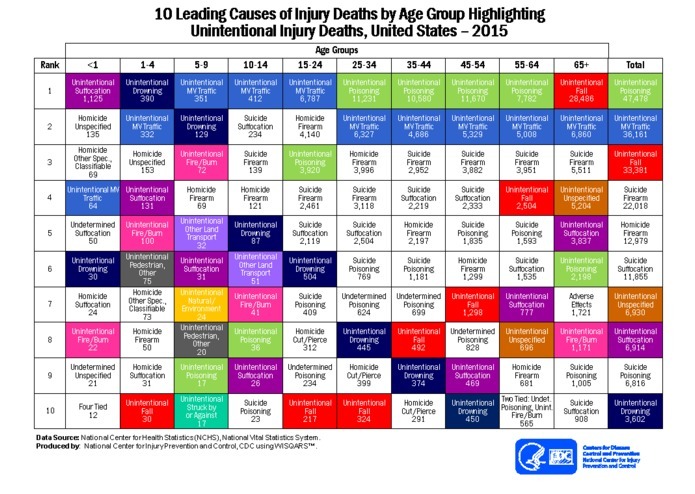 The National Center for Health Statistics places unintentional poisoning as the leading cause of death and injury for those between the ages of 25-64. Unintentional poisoning also ranks first in largest amount of deaths overall. Our team decided to build a device that would contribute to lowering these deaths, particularly for the elderly, who can mistakenly consume the wrong amount of prescription medication easily. We created an IoT device that helps caregivers keep track of their patient’s medication consumption times, while also forwarding that data to his or her doctor. Having to remind someone under assisted care to consume his or her medication at a set time every day is difficult. 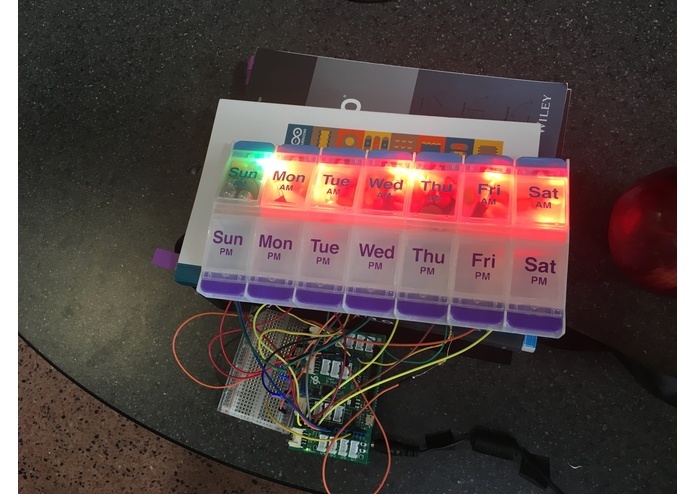 To solve this, we created a prototype “smart” pillbox that assists the caregiver with reminders, and time/date logging that is accessible to them via a connected user-friendly dashboard. By organizing that information through a HIPPA compliant API, our device enhances overall healthcare experience for both patients and caregivers. Upon the patient’s next doctor visit, the doctor will be able to gather a more accurate outline of their patient’s medication consumption habits. By implementing weight sensors, we are able to keep track in real time of any moment a patient removes all of their current day's medication from our pillbox. This data is connected to a date and time stamp, which updates the patient's caregiver’s dashboard with an alert. This provides the caregiver an overview of the time their patient was supposed to consume his or her medication and the time the pillbox detected the removal of that medication. We then use PowerDMS to send that updated patient’s log to his or her doctor's PowerDMS account. Additionally, our product provides caregivers the ability to attach a note to a date on their patients' medication logs. Providing the option to note questions, concerns or observations reduces the chance the caregiver forgets to inform the doctor of any pertinent or relevant information during their visit. By attaching that information to a date, the patient's doctor will be able to see if any ill effects are tied to the medication their patient consumed that day or week. 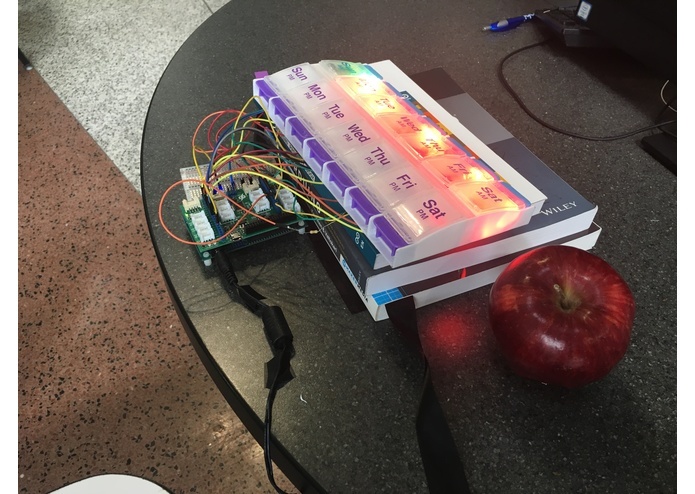 --Our team connected weight sensors, red/green LED lights, and uploaded Arduino scripts to a Qualcomm DragonBoard 410c. I came up with the concept for our team project, designed what our application needed to achieve, and developed the front end. Designed the Software Architecture based on the goals and needs of the project. I also programmed the backend scripts in NodeJs that would make API calls to the PowerDMS API. Lastly, setup the website in a Nodejs application with expressjs. I provided assistance with C++/C programming on Ardunio and assisting in art direction. I programmed the dragonboard 401c micro controller in the Arduino IDE, using C101. I had a major part in assembly of parts and soldering of electrical circuits. 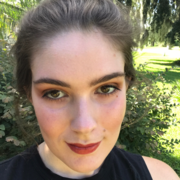 First year student seeking bachelors in computer engineering. Participant in KnightHacks 2017 at UCF.